The preview for this week's Daredevil #11 is out and continues The Omega Effect crossover between Avenging Spider-Man, The Punisher and Daredevil. 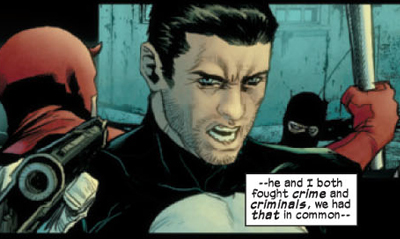 Setting up the issue by reflecting on the most interesting relationship of the trinity to me, Frank Castle and Matt Murdock. There are so many great parables between the man that has lost all faith in the justice system and the vigilante who actually tries to be its salvation as a day job, that a great read is assured each time Daredevil and Punisher lock horns. 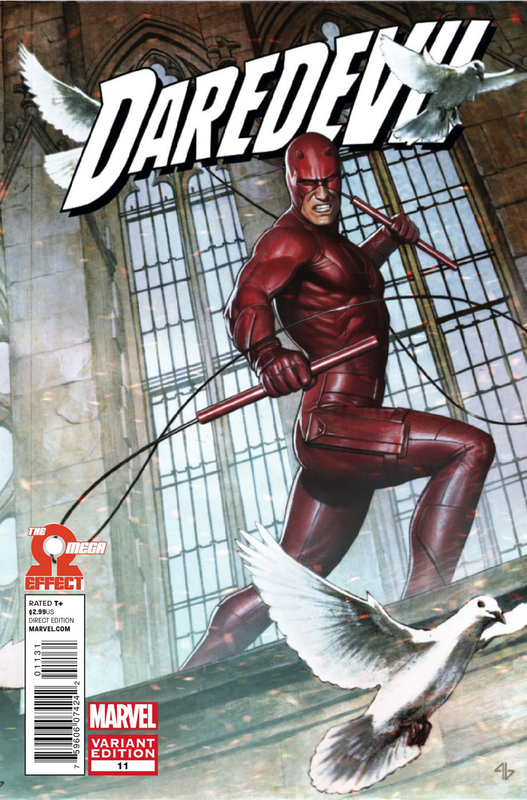 Daredevil #11 is released this week from Marvel Comics. After complaining movies premier in Portugal sometime after NZ or USA, I'm glad to say The Avengers will premier at the 25th of April! Yeah! I'm glad! Next wednesday is movie day! Nice one Aliera - I'm glad you'll be in on the fun. Avengers premieres here then too (actually the 26th as 25th is our public holiday for those who fought in WWII) but with the time difference that'll all line up anyway! I'll have my review up Thursday and will be interested in hearing your thoughts! Yes, in here it is an holiday too.